Thankful Thursday: Braxton is Walking! Yayyyyyy!!!! We’ve been walking him around at home a little more and his teacher told me today that they make him walk everywhere. They are so patient with him and if he takes longer than the other kids, it’s totally okay! I am soooo sooo thankful for this incredible accomplishment. I’ve cried lots of happy tears. With every milestone, I think back to the hospital in the first few days of Braxton’s life and think how the doctor’s didn’t even give him but a few weeks to live and here he is rolling, sitting, crawling, standing, and finally walking. First steps are always awesome, but when everyone counted your child out before he even had a chance, first steps are a miracle. I take nothing for granted. Braxton has worked so hard and continues to do so each and every day. His hard work is definitely paying off and I am so incredibly proud of Braxton. So is his sister. 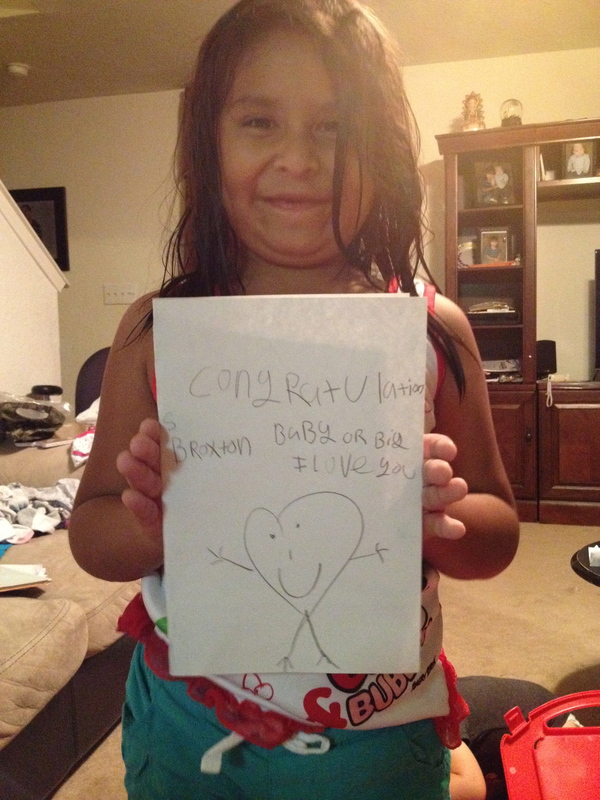 Aileen drew a congratulatory card for Braxton after I showed her the video of him walking. Some serious @tinysuperheroes work going on! Super Sidekick Aileen helping Super Braxton walk! Beyond blessed and so incredibly thankful for my amazing kids. I am so happy for Braxton, the family and the professionals that work with him. You made my year! Thank you God in heaven!